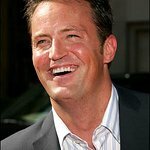 Actor and humanitarian Matthew Perry will receive the “2015 Phoenix Rising Award” and former Los Angeles Mayor and civic leader, the Honorable Antonio Villaraigosa, the “2015 Public Service Award” at the 12th Annual Triumph for Teens Awards Gala, Monday, June 15th, 2015 at the Montage Beverly Hills. The event celebrates the victories of young people in overcoming their addiction and related ailments and recognizes contributions and accomplishments which have positively influenced the health and welfare of our communities, especially our at risk youth. 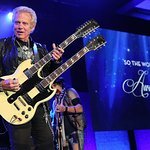 KCBS/KCAL weather anchor/reporter Kaj Goldberg hosts the dinner and award ceremony with Don Felder, former lead guitarist for The Eagles, performing. Michael Dwyer, DeeDee Gordon and Michael Kraus are the Gala Co-Chairs. For more than 35 years, Phoenix House has been a beacon of hope in Southern California for the most vulnerable men, women, and teens – rebuilding lives, reuniting families, and creating stronger communities. Today, Phoenix Houses of California serves over 4,000 individuals a year plus their family members and reaches more than 30,000 community members through outreach, volunteerism, and prevention and education services. Awards Gala produced by Scott Mauro Entertainment, Inc. Sponsorship Packages begin at $5000; individual tickets, $500.